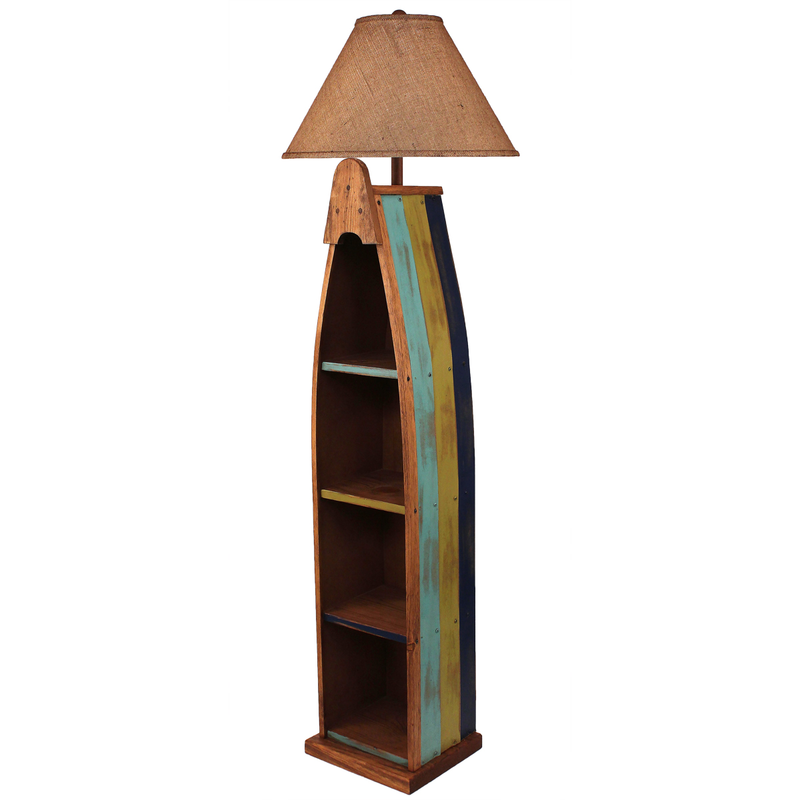 Featuring a replica boat base with turquoise, lime and navy stripes and three shelves for books or display, the Bright Stripe Boat Floor Lamp with Burlap Shade is perfectly suited to your sea-inspired home. Ships from the manufacturer. Allow 2 to 3 weeks for delivery of this beach lighting. Cannot express ship. Explore our entire collection of excellent beach floor lamps at Bella Coastal Decor today!